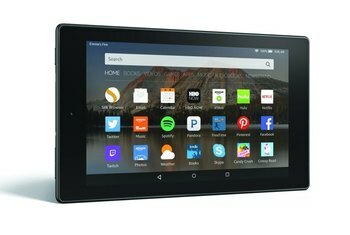 The Galaxy Tab A 8.0 is one of the most affordable 8-inch tablets on the market. It has excellent battery life to boot. 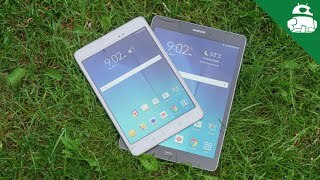 Samsung's TouchWiz interface makes for a user-friendly experience, and the tablet comes with free (limited) subscriptions to several services including Blinkist and The New York Times. 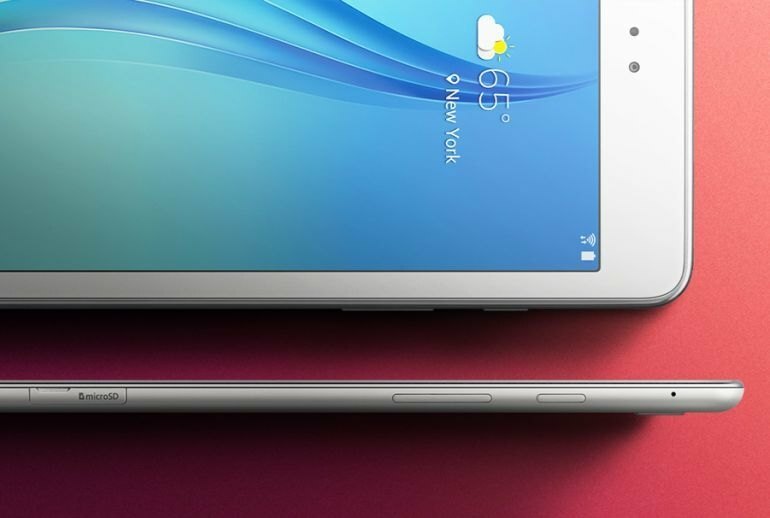 Unlike a lot of modern Android devices, the Galaxy Tab A includes a microSD slot. 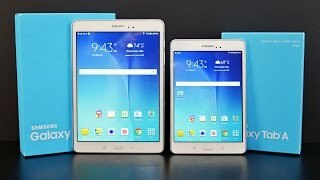 Unlike Apple's iPad Minis, the Galaxy Tab A 8.0 is made of plastic, which lends it a cheap, fragile feel. 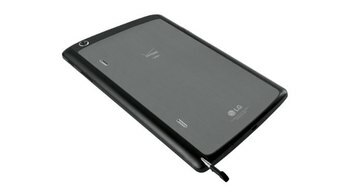 The Tab has a screen resolution of just 1,024 x 768, which is pretty low for an 8-inch tablet. With just one small, side-facing speaker, the Tab isn't an audio powerhouse. For games, movies, and music, you're definitely going to want headphones. 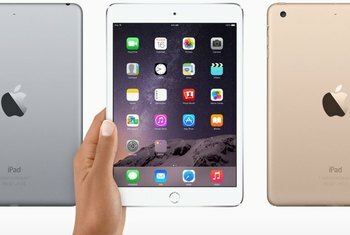 Samsung's answer to the iPad Mini delivers 8 inches of Android-powered tablet, but with a few key differences. 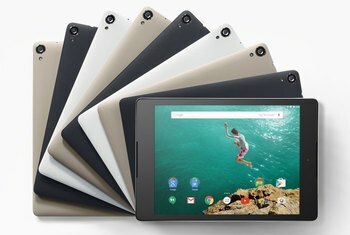 Chief among them is price: the Galaxy Tab A 8.0 starts at $230, a full $70 less than Apple's entry-level Mini. However, although the Tab offers a few features the Mini lacks, it's also made of plastic instead of metal, with a much lower resolution screen. Cameras on tablets aren’t all that great nor do they tend to have high megapixel count, but we take them as is. The rear facing camera has a 5MP resolution that isn’t the best when it came to natural light or low light photos. Sometimes there was too much noise or the quality was sub-par. As for the front facing camera, it’s 2MP and also pretty sub-par. 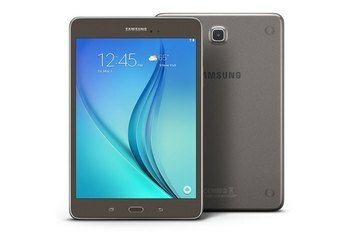 As an owner of a new Galaxy tablet, you get a few free perks. The "Galaxy Gifts" include 3-month trials of Evernote Premium, Audiobooks by Audible and The New York Times, as well as a 6-month trial subscription to The Economist and Blinkist. There's also in-app bonuses for a few games and select apps. 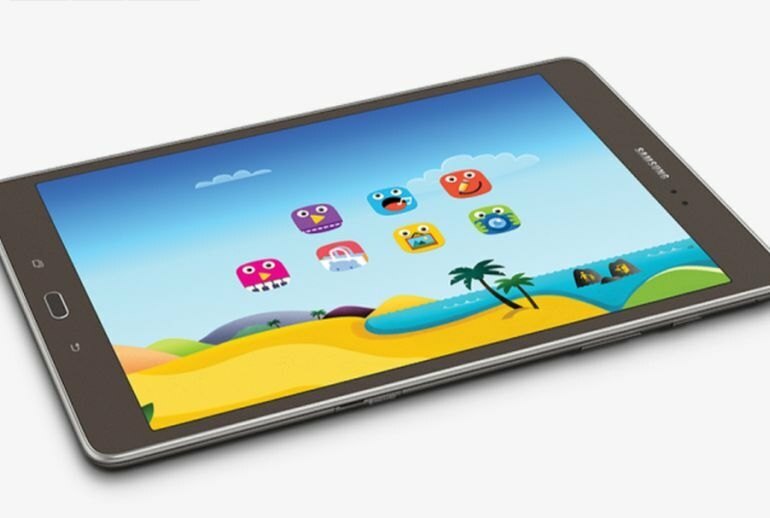 These "gifts" are common for Samsung's high-end models, so it's nice to see them on the budget-friendly Galaxy Tab A 8.0. Sunlight readability could be slightly improved, but the display is definitely bright enough for standard indoor use. Also noticeable is a thin black border around the display that adds to the bezel of the device. 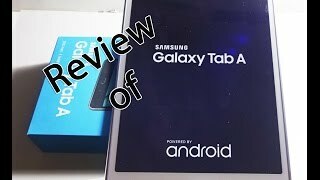 After the whole experience of gaming, watching movies or listening to music, we can comment that the Samsung Galaxy Tab A 8.0 completely fulfill the entertainment needs of the user.